Calling all local Childhood Cancer Families! September is Childhood Cancer Awareness Month. Join us on Saturday, September 8th at Rivets Stadium as we support our families battling childhood cancer, increase awareness to local childhood cancer issues, and have fun! The festivities kick off at 1:00 pm in Rivets Stadium parking lot with our annual Fire Truck Pull! Teams compete to see who can pull a Fire Engine 90 feet the fastest! There will be prizes for the fastest team and the team with the most Team Spirit! Look in the fire truck and you will find one of our local childhood cancer patients shouting encouragement to their team! From 2:00 to 3:00 pm, the free activity booths will open up inside Rivets Stadium. Head on over to our SLIME STATION to make gold slime. Get your face painted by our creative geniuses before you head into the photo booth. Participate in one of the kids games and win a prize! Don’t forget, Rivets Stadium Concessions will be open with discounted ballpark fare that is free for our Childhood Cancer families! At 3 o’clock things get serious! The gauntlet was thrown down and the K Cancer Baseball & Softball Team will once again take on Senator Syverson’s “Dream Team” in the Celebrity Softball Game! Each team has won a game over the past two years so you won’t want to miss the Rubber Match! The game is great fun, but the best part of the whole affair is when our local childhood cancer patients throw out their ceremonial first pitch and head into the dugouts to coach the teams! What a great way to spend a Saturday afternoon in September, having safe kid friendly fun, and supporting those in our community who need it the most! A day of family fun as we celebrate our local childhood cancer HEROES! All-stars Mayor Tom McNamara, Senators Dave Syverson & Steve Stadelman, Representatives Joe Sosnowski & Litesa Wallace, Chairman Frank Haney, Alderman Chad Tuneberg, Tim Dimke & Jay Sandine from the Park District, and Ben Slack from the Epilepsy Foundation take on the K Cancer Baseball & Softball team! It’s almost here! September is Childhood Cancer Awareness month. Help us celebrate our local #teammates who are fighting the battle and spread awareness to the challenges they face. As every organization grows, opportunities arise for people to step up and contribute their skills to the greater good. We want to congratulate Logan Lyman who was installed today as the Youth Advisory Executive Board Vice President of Messaging! 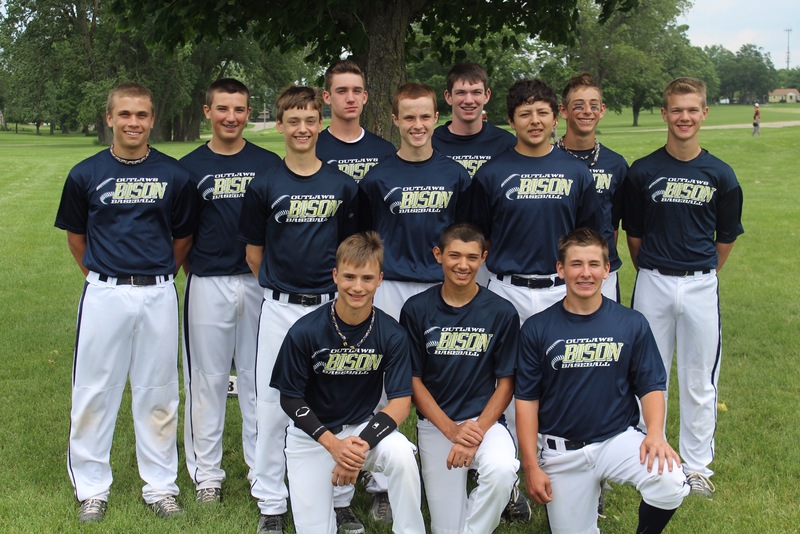 Logan bleeds K Cancer Baseball gold and has been contributing to the cause for some time now. We look forward to seeing what he will add to the group in the future. Lucas Domberg steps up and assumes the role of Chairman, Adrian Rapier takes over as President, Brock Ashens is the Vice President of Finance, Sean Hesano is the Vice President of Community Engagement, and Logan Lyman is now the Vice President of Messaging. Congratulations guys and we look forward to seeing where you take the organization over the next year! I received a text message last night that brought up a well of emotion and tears to my eyes. It’s High School baseball tournament time. This is the pinnacle for most baseball players in America. 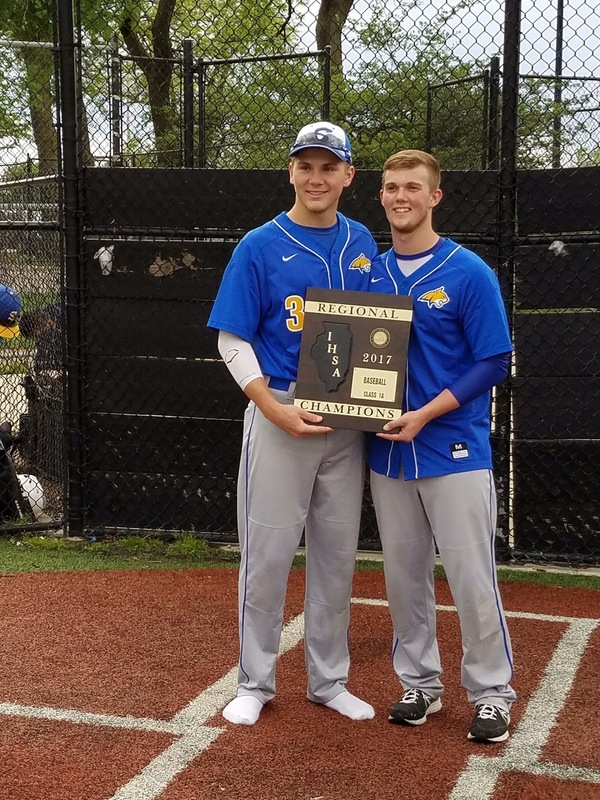 While one team goes on to the excitement of the next round of playoffs, one teams season ends, and with it, the baseball careers of many of the seniors on the team. A player that I coached for a couple of years when he was younger sent me a text after his last game. He thanked me for making those years fun and for teaching him things about life. Things like how to treat others, how to handle adversity, how to stay positive when everything is going wrong. I thought it was interesting what he didn’t thank me for. He didn’t thank me for helping him win tournaments, and we did that. He didn’t thank me for helping him vanquish the crosstown rivals, and we did that. He didn’t thank me for preparing him for the next level of baseball that he would play, and we did that. He understood that SPORT WAS JUST THE VEHICLE WE USED TO LEARN ABOUT LIFE. The principles that we learned that made us better individual contributors and teammates will also make us better Men, better Husbands, Fathers, Citizens. If you are lucky enough to be allowed to Coach/Teach a young person this Summer, make sure you have the right goals in mind. It is an incredibly rewarding experience. I have trophies in my garage gathering dust. The text message I received will be printed off, framed, and hung in my office at work…. You see it on baseball diamonds every Summer. 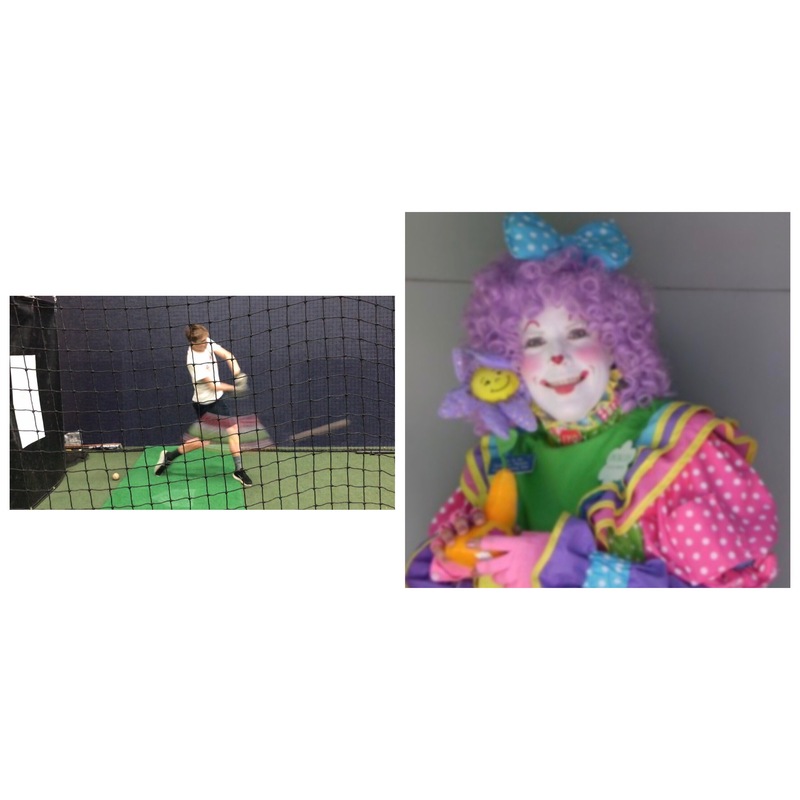 A player makes an error or a pitcher walks a batter, then the player who thinks the game is all about him rolls his eyes and slumps his shoulders as he makes a disparaging comment. That’s not the way “teams” work. To find an example of true teamwork you need look no further than the United States Army Airborne Rangers. Their unit is specifically designed for small unit missions which they constantly train for. All of their training is governed by the “Ranger Creed” which every Ranger could repeat in their sleep. 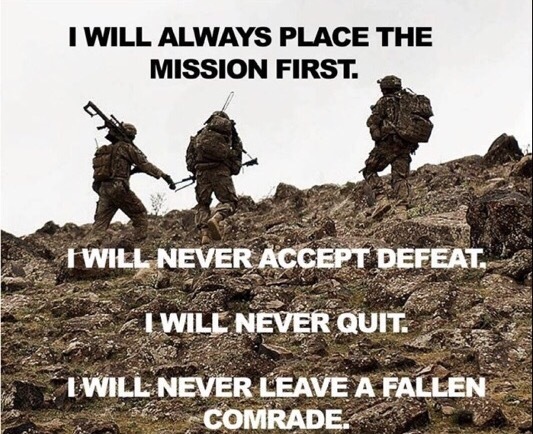 One line in the creed is extremely important and allows every Ranger to give it their all, knowing that if they fail there will be a teammate there to literally pick them up. The line goes like this, “I will never leave a fallen comrade (teammate). 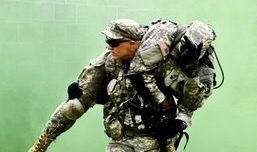 While Rangers spend time working on tactics and combat skills, they also work on perfecting the “Buddy carry”. If a Ranger can’t keep up, a teammate picks him up and throws him over his shoulder and carries him. It’s amazing how you can perform when you know that if you make a mistake your teammate will throw you on their back and carry you as opposed to berating and leaving you to your own devices. This Summer, when you are on your field of play whatever it may be, make sure you practice the “Buddy Carry”.